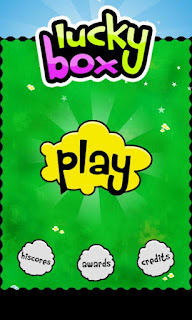 Lucky Box by DrDerico does a great job tapping into its players' natural addiction to the feeling of getting lucky. 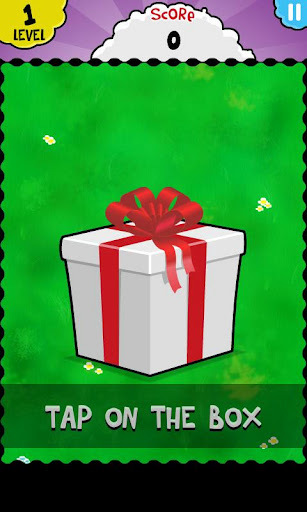 In the Lucky Box game for Android, players are presented with an ever-changing configuration of colorful, shiny presents and they are tasked with finding the cute creature that is hiding in just one of the possible options. The game successfully utilizes bright colors, an expressive creature, and subtle animations to portray a sense of fun and excitement. The gameplay is delightfully simplistic, but the presentation and depth of social features makes it something much more. This Android game includes both global leaderboards and a suite of achievements that help give players a sense of connectedness and a desire to play again and again. Lucky Box for Android is a great game for players that enjoy testing their luck. What better way to take a chance than with a game that also offers addicting gameplay, and bright, chirpy graphics. Take a peek at the screenshots below, and then go download Lucky Box from the Google Play Store!